The best regionally accredited online colleges in each region and thousands of online degree programs. Looking for reputable accredited online schools in the USA offering 100 percent fully online degree program? We have a comprehensive list of top colleges and a breakdown of degrees offered at every institution. Arizona State University is No. 1 and among the top 5 in the nation for online degrees. As an online student at Arizona State University, you get connected to the knowledge and expertise of some of the brightest, most innovative academic minds in the world. Here, the programs are highly interactive and engaging to ensure that students get a full understanding of the course content. ASU has an affordable online undergraduate tuition fee ranging from $520 to $728 per credit hour for undergraduate degree programs and $522 to 1397 for graduate degree programs. Arizona State University offers over 100 online degree programs. Some of the programs on offer are in Anthropology, Business Communication, Art History, Food Industry Management, Global Logistics Management, Global Leadership, Retail Management, Tourism, Data Analytics, Community Advocacy and Social Policy, Criminology, Nursing, Psychology, Software Engineering, and many others. The University is recognized as a top University by various reputable institutions including being named by the U.S. News and World Report as #1 in the nation for innovation. Fiske Guide to Colleges named ASU as a “best buy” public college based on their innovative combination of academics and affordability. With a student population of approximately 15,000, FHSU is considered as one of the fastest growing universities by the Kansas Board of Regents. The institution is located in Hays, Kansas and is accredited by the Higher Learning Commission in USA- next review 2023. Widely acclaimed as the business University of the Midwest. The university’s online school is one of the best in the country offering several accredited specialized programs in areas such as engineering, education, nursing among many others in undergraduate, graduate and postgraduate levels. As a student one is assured of high-quality education with the flexibility that you yearn for. Tuition fee and Financial assistance: Charges per course level include: Undergraduate-$218.67 per credit hour, Graduate-$287.75 per credit hour and MBA/DNP $400 per credit hour. Financial assistance from the school is available through several avenues such as military assistance, grants, scholarship, and student employment. These can be applied for from the university’s official website. Admission: After choosing the course you are interested in; apply for online admission to FHSU, send official transcripts to the FHSU office of the registrar, 600 Park Street, Hays, KS 67601, contact the financial aid office to know how to receive financial aid, wait for the acceptance letter. The following application charges apply: Degree-seeking undergraduate: $30, Degree-seeking graduate: $40, Non-degree-seeking undergraduate: $30, Non-degree-seeking graduate: $40.International Students: $50. Resources made at the disposal of the online student include: Free Online Tutoring & Writing Center, FHSU TigerCard ID, Forsyth Library, Career Services, Software and Technical Support Through Tiger tech, Academic Advising and Career Exploration, Kelly Center – Support Services, Study abroad and Faculty Lead trips, FHSU Virtual College Social Media, Credit for Prior Learning (CPL), Clubs and Organizations, and involvement in school events such as FHSU Virtual 5K Walk/Run. The University of Illinois Springfield makes online learning viable as it offers tens of undergraduate degrees, graduate degrees and certification programs and graduate certificates in various disciplines. Examples of degree programs available are Computer Science, Liberal Studies, Legal Studies, Public Health, Political Science, Education, Mathematics and Public Administration. The graduate certificate programs taught include Epidemiology, Business Intelligence, IT Project Management, Environmental Risk Assessment, Geographic Information Systems and Management of Non-profit Organization. As for certification programs, prospective students may enroll for Child Advocacy Studies, English, Teacher Education for Secondary Level, English as a Second Language (ESL) and Learning Behavior Specialist1 (K12) among others. Admission requirements include 2.0 GPA for transfer students, ACT / SAT test scores and GPA for high school students, and 2.5 GPA for graduate applicants. The bachelor’s programs were in 2016 ranked no.54 by US News & World Report. The university is accredited by the Higher Learning Commission (HLC). Minot State University offers a broad range of online degree, non-degree and certificate programs. These programs cover fields such as Business, Information Systems, General Studies, Marketing, Special Education and Management. In some programs, students will cover core and general education courses and other additional courses in their chosen majors. These courses are specially developed to help prepare students for their chosen career paths. Students are expected to meet all graduation requirements before they can graduate. One of these requirements is the total number of credits covered in each degree program. Individuals seeking admission as transfer students must have completed at least 24 transferable semester hours and attained a 2.0 GPA on a 4.0 scale. Minot State University is accredited by the Higher Learning Commission (HLC) of the North Central Association of Colleges and Schools (NCA). The University of North Dakota ranked position No.1 in North Dakota and among top in the nation when we assessed colleges based on our ranking criteria. The University of North Dakota has consistently been recognized as an institution of higher learning that offers reliable, quality education. The college has been ranked as a top college by among others the U.S. News and World Report and Forbes. The University offers a wide range of programs including Nursing Liberal Arts, Engineering, Energy, Education, Law, Human Resources and Medicine. Courses that students take include excellent communication skills and responsibility. They grow intellectually and are prepared for lifelong learning. The university is regionally accredited by the North Central Association (NCA) of Colleges and Schools. The University of Cincinnati has a long history and experience in offering online degrees. The University has a wide range of online degrees on offer that can be completed wholly online. Online programs at the University are comparable and have the same recognition as 0n-campus programs. Programs are taught at the associate, bachelor’s and master’s levels. Degree programs are offered in: Education, Criminal Justice, Human Services, Information Technology, Engineering, Fire service Technology, Radiation Service, Health Information System, Health Information Management Administration, Medical Laboratory Science, Health Administration, Nursing, MBA, Pharmaceutical Science, and many others. The University of Cincinnati received high scores in having: affordable in-state tuition, medium-sized classes, high 6-year graduation rate, many programs on offer, and high median post-graduation salary. The university is very popular with in-state students. The University of Cincinnati is accredited by the Higher Learning Commission of the North Central Association of Colleges and Schools. Taking your online degree at Colorado State University ensures that you have the flexibility and convenience of taking courses at times and locations that fit your life. Online degree programs at Colorado State University are taught by the same faculty and covers the same content as the on-campus equivalent assuring students of quality education. Online students have access to numerous University resources, including library services, email, advising and career services. Colorado State is accredited by The Higher Learning Commission, a Commission of the North Central Association of Schools and Colleges. Offering more than 90 degree and certificate options and with over 900 courses available online, The University of Missouri is a public research university with a distinguished online program. With over 5,793 online Students, It’s programs include Bachelor’s, Master’s, Doctorate and Certificates in different areas including Agricultural Education, Arts and Sciences, Engineering, Journalism, Nursing, Public Health, Veterinary Medicine and Environmental Science. It is ranked as one of the most affordable online schools. The cost per credit hour for undergraduates is $276.20 and $350.10 per credit hour for graduates. Its financial aid program includes Student loans, grants and university scholarships. Veterans, active members of the military and their dependents are eligible for special military benefits. The University of Wyoming offers a number of bachelors, masters, doctorate degrees and certificate as well as endorsement programs online. As the top university in Wyoming, the institution aims at providing education that will impact on the student’s life. Bachelor’s programs offered include Family and Consumer Science which prepares students to assume administrative roles or teaching duties in Early Childhood development; RN to BSN; Organizational Leadership; Criminal Justice, Psychology and Social Science. Examples of master’s programs available are English, MBA, Education, Nursing, Health Services Administration, Kinesiology and Health, Speech-Language Pathology and Public Administration. Individuals seeking education past their masters may enroll for courses in Nursing Practice, Educational Administration and Nursing Practice. The University of Wyoming is one of the top colleges for affordable online bachelors degree programs Some of the certificate/endorsement programs provided include English as a Second Language, Special Education Director, Teachers of American Indian Children, Play Therapy and Online Instruction. The University of Wyoming is accredited by the Higher Learning Commission (HLC). Kansas State University has a history of offering a variety of affordable online programs. You can take Master’s and Doctorate degrees as well as Bachelor’s degree completion programs. Certificate courses, Professional development courses, and other non-degree courses are also offered at Kansas State University. Degree programs available for online study are in: Animal Sciences and Industry, Ecology, Agriculture, Dietetics, Early Childhood Education, Family Studies and Human Services, General Business, Food Science and Industry, Business and Operations, Industry and Technology, Agriculture, Business Administration, Social Science, Nutrition and Health, Technology Management and Technology and Aviation. 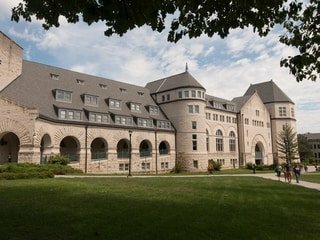 Kansas State University receives accreditation from the Higher Learning Commission of the North Central Association of Colleges and Schools. In our ranking assessment, Kansas State University received high ratings in having a wide range of degree programs that can be completed online, the affordable cost to complete the online programs, strong student services, and support, availability of financial assistance programs offered through K-state Global campus among other areas. The University of Mississippi’s online school is one of the best in the country due to its reputation for providing quality long-distance education through several online MBA and graduate programs. The school is fondly called Ole Miss by alumni, students, and friends of the college and known for its long history of producing leaders in public and private service. 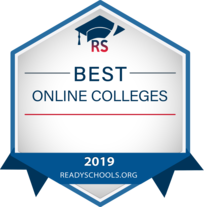 Accredited by the Southern Association of Colleges and Schools Commission on Colleges (SACS), the school’s online education called Ole Miss Online (OMO) is an opportunity to obtain a respected degree from a reputable university. Students can enroll for a masters degree in Applied Science, Business, Education, Journalism & Media, graduate certificate programs in the School of Education and an Online Ed Specialist Degree program where students can earn a degree as Ed Specialist in Counselor Education or in the EdS Ed Leadership Program. Students can select from 7 minors from the School of Business and College of Liberal Arts. The OMO semester-based online courses run along with the University’s semester calendar and course work/exams are completed on the learning platform Blackboard. Students register for the online courses the same way as regular courses but confirm that they meet the requirements for Ole Miss undergraduate and graduate admission. The online university programs offers Financial aid opportunities, academic advising and student resources for online students just as it is for on-campus students. Fully accredited, SAGU is a private Christian university and seminary located in Waxahachie, Texas USA. The university offers more than 70 associate, bachelor’s, master’s and doctoral degrees on campus and online. Online programs are of high quality and flexibility enhanced by the resources and professors’ guidance at the individual learners’ disposal. Minimum 2.5 cumulative undergraduate points average. Official transcripts for each college attended. Tuition cost for online programs are as follows; Undergraduate online per hour-$ 575, Graduate tuition per hour-$585, Doctorate tuition per hour- $ 575. Financial funding is available with details given at the official institution’s website. We ranked Auburn University as the No.2 university in Alabama and among the best Universities in the nation for online degree programs. You can take one of the several online degree programs available here. These include undergraduate, graduate, personal enrichment, and professional credit programs. The online programs are taught at the colleges of Business, Agriculture, Engineering, Human Sciences, Education, Liberal Arts, Veterinary Medicine, Sciences, and Mathematics. Others available are Architecture, Design, and Construction. Prospective students may enroll into any of the following programs: Accountancy, Finance, Nutrition and Health Information Systems, Elementary Education, Foreign Language Education, Older Adult Enrichment Programs, Hunger Studies, Adult Education, Rehabilitation Counseling, Technical Writing Certificate program, Interpretation Certification and Real Estate, Appraisal and Home Inspection courses. The University is accredited by the Southern Association of Colleges and Schools Commission on Colleges (SACSCOC). Some of its programs such as the Master of Business Administration and Graduate Engineering have received recognition from U.S. News & World Report as the Best Online Graduate Programs in 2015. They ranked 10th and 27th, respectively. The Western Kentucky University provides tens of degree programs online which makes it convenient for individuals who wish to study without disrupting their day-to-day lives. You will without a doubt find a program that suits you as there are associate degrees, undergraduate minors, bachelor’s degrees, master’s degrees, undergraduate certificates and graduate certificates and endorsements. There are three associate degree programs available. These are Early Childhood Education, LPN to ASN and Interdisciplinary Studies. In the undergraduate certificates category, students may pursue courses in Manufacturing and Logistics, Computer Literacy, Human Resource Management, Worksite Health Promotion, Food Processing and Technology. The bachelor and master’s programs offered include Nursing, Technology Management, Criminology, Computer Information Technology, Education and Organizational Leadership. In 2012, U.S. News & World Report ranked WKU among the top 10 in the category: “Best Online Degree Programs”. The university is accredited by the Southern Association of Colleges and Schools Commission on Colleges (SACSCOC). A pacesetter in offering both liberal and general arts among other programs. Regionally accredited by Southern Association of Colleges and Schools, EKU is located in Bluegrass, Richmond, Kentucky. The institution is among the best in offering online accredited courses with a well developed virtual school. The online programs include well over 40 undergraduate, graduate, certificate and non-degree courses offered conveniently in an online format. There is an array of benefits in taking up the online courses include: flat rate tuition fees, 8-week terms, online tutoring and resources (library and writing center). Mode of study is 100% online, requiring the student to be on campus only during graduation time except for a few courses. Popular online courses include Bachelors of Arts (Communication Studies), Bachelors of Arts(Corrections, Juvenile Justice), Masters in Arts (Public Administration) among other courses. In 2016, EKU was ranked among the Top 100 Best Online Program- online graduate programs in education, nursing by U.S.News and World Report. The same year the institution was ranked second in Best Online: Doctorate in Occupational Therapy, Students Before Profits Awards. Tuition Fee and Financial Support: For bachelors programs the tuition fee is approximately $409 per credit hour while master programs is approximately $510 per credit hour. The approximation for doctorial programs and other courses is according to program. Active military pay subsidized tuition fee. Financial assistance is available through avenues such as grants, scholarships (outside, departmental, foundational) applied for through the institution’s website. 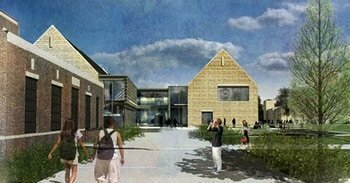 The largest private, nonprofit university in the USA and the world’s largest Christian evangelical University, Liberty is build upon a foundation of Christian values. Pioneering in distance education since 1985, Liberty University online now enrolls over 95,000 students from around the world in its thriving online program. With over 250 online degree programs of study, Liberty University offers degrees from the certificate to the postgraduate level. Combining academic excellence with a Christian mission, students also enjoy low student-to-professor ratios and a variety of free support services and resources such as the Online Writing Center and Tutor.com. The University is regionally accredited by the Commission on Colleges of the Southern Association of Colleges and Schools and has several specialized accreditations covering various programs taught at the University. Many of Liberty’s individual programs and degrees also have additional accreditation and certifications. Liberty University offers some of the lowest tuition rates among top online universities making one of the cheapest online colleges. The school offers various degree programs including Business, Counseling, Nursing, Psychology, Religion and many more. Accelerated options to complete your degree faster also exist. The University has one of the highest retention and graduation rates of any online University. Among the benefits of taking your degree program at Liberty is low tuition payment. The University has one of the lowest tuition rates among top online Universities. Students may qualify for Financial Aid and a high percentage of students have one form of Financial Aid. The University also prides of professors who respond to queries daily, 24-hour access to course work 7 days a week, an online pastor and quality academic advisers. Mississippi College is the top higher learning center in Mississippi and has through the years continued to give students the opportunity to enroll and study for their degrees online. Depending on what your goals are, you can enroll for accelerated undergraduate and graduate degrees and undergraduate and post-baccalaureate certificates in any field. The college offers two undergraduate certificates online and these are Loss Prevention and Homeland Security. The undergraduate degree category features programs like Paralegal Studies, Loss Prevention, Nursing, and Homeland Security. For the graduate section, the college gives students a good number of options. Examples include Master of Teaching Arts, MBA with a focus in Accounting, MBA with a Focus in Finance, Health Services Administration, Athletic Administration, Higher Education Administration, and Communication. Mississippi College is accredited by the Commission on Colleges of the Southern Association of Colleges and School (COC/SACS). Brescia University’s overall score from our ranking criteria made to our top rankings for best value colleges offering online degree programs in Kentucky. Brescia University has a reputation for providing quality and affordable education. The tuition fees are affordable and a student who qualifies for admission can access both State and Federal financial aid. The application process for any online program is easy. Know of the admission requirement of any degree before applying. Brescia University offers comprehensive online programs for associate’s, bachelor’s and master’s degrees. Brescia University provides a thorough curriculum to each specific degree. The courses are comprehensive such that a graduate can pursue various career paths. The Southern Association of Colleges and Schools Commission on Colleges (SACS-COC) accredits Brescia University. The Council on Social Work Education (CSWE) accredits the Social Work Program provided by this institution. The University of Georgia is the best higher learning institution in Georgia and has a great number of courses and programs taught online. It offers diversity in areas of study which include Education, Special Education, Business Administration, Classical Languages, Adult Education, Food Technology, Internet Technology, Music Education and Pharmacy. Students enrolled in the Master of Education program may choose a concentration from Middle Grades Education; Learning, Design, and Technology; Reading Education and Workforce Education. Other than degree courses, the university also offers graduate certificates and endorsements such as Gifted In-Field Endorsement, Certificate in Bio-Pharma Regulatory Affairs, Reading Education Endorsement, eLearning Design Certificate, Certificate in Teaching English to Speakers of Other Languages (TESOL) and many more. The university is a military-friendly school and is recognized as such by Military Times, Advanced Military Education and Victory Media. It is accredited by the Southern Association of Colleges and Schools Commission on Colleges (SACSCOC). The tuition rates are mostly the same for both in-state and out-of-state students. The University of Louisiana-Monroe is the best choice of colleges to attend if you are looking for quality online education. It’s the top university in Louisiana and offers students an array of degree programs starting from associate to doctorate levels. The Associate program offered is General Studies which normally takes 2 years to complete. It entails 60 – 65 credits and prepares students with necessary skills for careers in banking, sales, customer service and clerical work. The University offers other degree programs through the departments of Health Sciences, Education, Business, Humanities, and Behavioral Sciences. Prospective students may join for programs such as Elementary Education, MA in Teaching, Radiologic Technology, Dental Hygiene, MS in Nursing, Organizational Leadership, Modern Languages, Criminal Justice and PhD in Marriage and Family Therapy. In 2014, the university’s online program received recognition by TheBestSchools.org as one of the top colleges for online programs. “Best Online College”. The institution is accredited by the Southern Association of Colleges and Schools Commission on Colleges (SACSCOC). This university has received accreditation from The Middle States Association of Colleges and Schools and it has its headquarters in University Park, PA. Penn State has consistently received high ranking from the U.S. News and World Report for Best Online Bachelor’s Programs, the best Online Graduate Engineering Programs and Best Online Graduate Computer Information Technology Programs by. Other ranking includes the Kiplinger’s Best Value in Public Colleges list, Times Higher Education’s World University list and the Forbes Top Research university list. Pennsylvania State University has a total enrollment of 13,829 students in online degree programs. The approximate undergraduate tuition is $535 per credit while that for graduates starts at $784 per credit It offers approximately 63 accredited degrees online and 51 certificate courses. The degrees offered are in the fields of Business, Management, Engineering, Law, Health Services and Homeland Security. The University of Maryland University College is regionally accredited by the Middle States Commission on Higher Education (MSCHE) to offer associates, bachelors, masters’ and doctoral degrees in various fields. Whatever your education goals are, you will find a program you can enroll into. Examples of minors and majors offered are Investigative Forensics, East-Asian Studies, African American Studies, Philosophy, Criminal Justice, Health Services Management, Software Development and Security, Nursing for Registered Nurses and Fire Service Administration. Graduate programs are also available in a wide range and include MBA, Health Informatics Administration; Cyber-security; Biotechnology; Healthcare Administration; Teaching, MEd in Instructional Technology and Doctor of Management. Further, students may pursue certificate courses in Homeland Security Management, Information Assurance, Project Management, Computer Networking, and Acquisition & Supply Chain Management. UMUC offers associate degrees to veterans, military servicemen on active-duty together with their spouses, National Guard members and reservists. All students receive maximum support to accomplish their academic goals smoothly. Duquesne University, a Catholic university in Pittsburgh, Pennsylvania prides itself in its Spiritansvalues provided through a well-rounded education of the soul and mind. The school offers several online undergraduate and graduate programs that can help students earn a degree conveniently and flexible on top of their daily commitments. The school adopts a teacher-scholar teaching model that encourages small sized, student-centric classes fostering learning in an engaging and participatory setting like in a traditional college. Duquesne University was ranked among the best colleges of 2018 by the US news and world report college rankings for the 11th year running. The university is accredited by the Middle States Commission on Higher Education, (MSCHE) and approved by the Pennsylvania Department of Education. Students can earn a bachelor’s degree in Liberal Arts and Nursing in the undergraduate level or in Business, Education, Liberal Arts and Nursing at the graduate level. Other online programs include the Post 9/11 GI Bill and Yellow Ribbon Programs designed as an online/on-campus degree and a certificate program for military and veteran students and the Adult Undergraduate Accelerated Bachelor’s Degree programs for Computer Systems Technology and Organizational Leadership. Duquesne online students enjoy the same benefits on-campus students enjoy such as counseling services, academic advising, financial aid, and tutoring assistance. If you are looking for a school that has received various awards and ranked top consistently for quality and affordability of its online programs, you sure will find one in the California University of Pennsylvania. The same top ranking we gave the California University of Pennsylvania in the state and in the nation is confirmed by over 18 other organizations including the prestigious U.S. News and World Report which has ranked the University top in 6 ranking categories. Other notable awards include the American Society of Registered Nurses Diamond Award. The school offers many online degree programs at the bachelors, masters and doctorate levels. Many online certificate programs are also available. Some areas covered under certificate programs are Cyber security, Behavioral Crime Analysis, English as a Second Language, Business Analysis and Homeland Security. As for the undergraduate and graduate studies, students may choose from Sociology, Computer Information Systems, Wellness & Fitness, Legal Studies, Elementary Education, Communication Disorders, School Counseling, Sport Management and Entrepreneurship among others. The school also offers certifications such as the Administrative Program for Principals –through which you can earn your master’s in Education and obtain a certification- and the Superintendent Letter of Eligibility (SLE) which qualifies you for certification as a Superintendent, school principal or supervisor. The vision of the school is to provide students with an experience that builds on their character, preparing them for careers as they get ready to enter the job market. The University is accredited nation by the Middle States Commission on Higher Education (MSCHE). Baruch College is accredited by the Middle States Commission on Higher Education and has consistently ranked among the top colleges according to the U.S. News and World Report. Programs are offered at the graduate, undergraduate and certificate level through the Zicklin School of Business, the Weissman School of Arts and Sciences, the School of Public Affairs and the Division of Continuing and Professional Studies. Tuition costs $275 per credit for residents of New York. Out-of-state residents and foreign students pay $560 per credit. For non-degree students, the cost per credit is $400 for state residents and $840 for non-residents. Financial aid is available based on need. It includes the option of federal grants and loans. 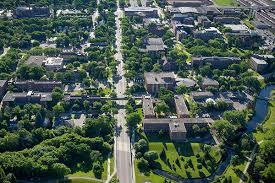 Also known as Buffalo State College, SUNY is a state university in the city of Buffalo, Newyork founded in 1871. The institution is accredited by the Middle State Association. SUNY is part of the pacesetter institutions in offering flexible and financially manageable online programs. The school offers 79 undergraduate programs, 64 graduate programs certificate and professional diploma programs. Some notable courses include • Advanced Certificate in Adult Education. • Master of Science (Human Resources Development), • Master of Science (Public Relations). The online school is approved by the National Council for State Authorization Reciprocity Agreements. Instructional methods in the online school include Hybrid- online learning mixed with on-site instruction, Hybrid plus- 80% online requires some on-site learning, Online Asynchronous- no on-site instruction 100% online, Online Synchronous- learning is offered in real time 100% online. Learners utilize Blackboard for all content including exams, communication with professors and course mates. Online students have access to the library, student center, and career development center among other resources. You can access information on the tuition fee and student funding through the institution’s website. Stevens Institute of Technology is the leading university in New Jersey thus a great place to study for your degree. It offers master’s programs and graduate certificates in different subject areas. Some programs allow you to choose an area of specialization that will help you realize your professional goals. Some master’s programs available are Space Systems Engineering, Pharmaceutical Manufacturing, Cyber Security, Financial Engineering, Enterprise and Cloud Computing, Information Systems, Network & Communication Management and Computer Science. The graduate certificates offered will expose you to modern-day theory and ways on how you can use it in your profession to accomplish your objectives. Anyone taking a certificate course may also enroll for a master’s program. The credits earned through the certificate are transferred to the degree program. Certificates offered include project management, biomedical engineering, photonics and microelectronics. The university is accredited by the Middle States Commission on Higher Education (MSCHE). The University of Delaware offers over 200 courses and several degree programs online. It is a member of the Southern Regional Education Board’s Electronic Campus. Undergraduate degrees offered include; Associate in Arts and Nursing, RN-BSN program. Graduate degrees are offered in areas such as Business Administration, Nursing, Engineering, Social Studies in World History and Teacher Leadership. Students have access to student services that include Academic Advisement and Career Counseling and Assessment. Online students also have access to instructional media such as video streamed lectures, CDs and DVDs. The IT help center for online students is available on weekdays from 8:00 am to 5:00 pm. Tuition costs depend on residency status and the level of the program. For students at the undergraduate level, Delaware residents pay $454 per credit hour while non-residents pay $1,219 per credit hour. At the graduate level, tuition costs for both Delaware residents and non-residents stand at $1,625 per credit hour. Military and veteran students are eligible for educational benefits offered by the Department of Veterans Affairs. The benefits available include reduced tuition fees and special scholarship opportunities. As the leading university in Alaska, the University of Alaska Fairbanks gives future students the opportunity to enroll for online education to meet their academic goals. It offers a full range of certificate courses such as Design and Construction Management, Accounting, Healthcare Reimbursement, Medical and Dental Reception, Applied Business Management and Information Technology Specialist. The College also provides occupational endorsements in Bookkeeping, Medical Billing, Medical Coding and Financial Services. Apart from the certificates and endorsements, prospective students may enroll for associate degrees, bachelor’s and master’s degrees. Some programs available include Online Innovation and Design, Business Administration, Justice, Accounting, Public Administration, Early Childhood Education, Management, Marketing and Homeland Security and Emergency Management. The university offers tuition waiver to working individuals. Students are required to maintain a 2.0 cumulative GPA to continue enjoying the waiver benefits. The university is accredited by the Northwest Commission on Colleges and Universities (NWCCU). Washington State University is the best higher learning center in Washington, with a variety of degree programs available online. It’s the place to be whether you are seeking undergraduate degrees, graduate education, endorsements or non-degree education. There are many subject areas covered in the undergraduate majors and minors. These include Human Development, Hospitality Business Management, Aging, Biology, Political Science, Film Studies, Accounting, Humanities and Information Systems Management. Graduate programs are also diverse and include Molecular Biosciences which is a Post-master’s program, MS in Agriculture, Executive MBA, Master of Engineering and Technology Management, Criminal Justice and MA in Strategic Communication. Students in need of certificates to undergraduate or graduate- can explore: Bioethics, Gerontology, Global Leadership, Professional Writing, Organic Agriculture and Sustainable Agriculture. WSU is recognized by the Carnegie Classification as a “Very High Research Activity” Institution for its discoveries and influential researches. It’s accredited by the Northwest Commission on Colleges and Universities (NWCCU). As the top university in the state of Oregon, Oregon State University strives to offer quality education through online learning platforms to reach all individuals who’d wish to study without traveling to campus day in day out. Choosing to join the university is a smart decision for any student who seeks a thorough and rigorous curriculum. The university is accredited by the Northwest Commission on Colleges and Universities to offer bachelor’s degrees, master’s degrees, doctorate programs, graduate certificates and other courses like on foreign languages and chemistry & labs. The undergraduate and graduate programs cover subjects such as Anthropology, Environmental Sciences, Sociology; Women, Gender and Sexuality studies, Fisheries and Wildlife Sciences, Business Administration, Teacher and Counselor Education and more. OSU was ranked 7th by U.S. News & Report on its category “Best Online Programs – Bachelor’s 2016’. Montana State University Billings (MSUB) is an excellent choice for anyone who wishes to pursue further education; from high school graduates to transfer students to returning students. The university provides numerous degree and certificate programs online. Regarding certificates, MSUB offers Accounting Assistant, Teaching and Learning Online, Human Resource Management, Long-Term Care management and Medical Coding / Insurance Billing. Students who look forward to joining the institution for associate degrees may enroll for General Studies, Accounting Technology, Human Resource Management and Business Administration. The bachelor’s and master’s degree programs cover diverse fields such as Health Administration and Dental Hygiene, Management and Mass Communication, Rehabilitation and Mental Health Counseling, Special Education Generalist, Organizational Communications, Public Relations and Liberal Studies. The university is accredited by the Northwest Commission on Colleges and Universities (NWCCU). It’s the leading university in Montana with hundreds of classes online. The University of Idaho is arguably the best place to enroll for online degrees in Idaho. It’s the top higher learning institution in the state. There are several graduate programs which one may pursue. These include Statistical Sciences, Computer Engineering, Master of Engineering Management, Psychology, Educational Leadership, Adult Organizational Learning and Leadership, Curriculum and Instruction, Natural Resources, Technology Management, and Computer Science. The university aims at providing a graduate education that will meet the needs of the country at regional, state and national levels. It also offers a variety of graduate certificates meant for professional and personal enrichment. Some courses available are Environmental Contamination Assessment, Process and Performance Excellence, Statistics, Restoration Ecology, Advanced Materials Technology, Nuclear Criticality Safety, and Organizational Dynamics. In 2012, the University of Idaho was ranked 3rd most affordable university in the US by Newsweek Magazine in the category “Best Colleges for You”. It is accredited by the Northwest Commission on Colleges and Universities (NWCCU). The University of Connecticut is the place to be if you are looking for a college that offers quality education online. There are several bachelor’s, master’s and post-baccalaureate programs available. These include Gifted and Talented Education, Occupational Safety & Health, Accounting, Neonatal Nursing, Human Resource Management, and Educational Technology. The university also has a broad range of graduate certificate courses. Examples are Post-secondary Disability Services, School Law, Arts Administration, Global Risk Management, Survey Research, Disability Studies in Public Health, Sustainable Environmental Planning & Management and Digital Media & Design. The curricula taught are in alignment with Online Learning Consortium’s Quality Framework. Students normally interact with instructors regularly through video conferencing, e-mails, phone calls and messaging. They also have regular access to the school’s online library system. The University is accredited by the New England Association of Schools and Colleges (NEASC). Champlain College is a pioneer in online education, having launched its first online degree programs over 20 years ago. Accreditation for this university comes from the New England Association of Schools and Colleges. Various certificate and degree programs are available 100% online, and students can transfer up to 90 previously earned credits. Students have access to academic and career support services designed to help them find a balance between their academic life and their career. Some Bachelor’s degree programs offered online include Accounting, Business Management, Cyber Security, Health Care Administration, Economic Crime Investigation, Software Development, Computer Forensics, Computer and Information Systems, Health IT, and Web Design and Development. Small class size, high 6-year graduation rate, low student to faculty ratio, a high number of qualified freshmen who receive Financial Aid, availability of many online degree programs are some areas where the University received high scores. The Saint Joseph’s College continues to provide quality education at various levels. This education is available online so you can access it from your office, home or any other location that’s of convenience to you. The college has the best programs for undergraduate certificates, associates, bachelors and masters. Students may choose areas of study from the nursing department, Interdisciplinary studies, Theology Studies, Information Technology department, Health Administration Department and Business department. There are plenty of minors and majors to explore. These include Psychology, Accounting, Criminal Justice, Adult Education and Training, Long-term care Administration, Human Services, Banking, Senior Living Leadership and Radiologic Science Administration. For those who plan on joining graduate programs, the school offers: MS in Nursing and Leadership MBA, MS in Nursing and MHA, Post Graduate Family Nurse Practitioner Certificate, Education, Theology and Accountancy. Saint Joseph’s College of Maine is accredited by the New England Association of Schools and Colleges (NEASC). Located in California, USA, CBU is an established institution of higher learning with an online school-CBU Online. CBU Online was designed for the working professional offering certificate, diploma, undergraduate, graduate, and postgraduate programs in several courses. Flexibility means you can earn your degree while working full or part-time. California Baptist University (CBU), which includes all programs offered by the Division of Online and Professional Studies, is accredited by the Western Association of Schools and Colleges Senior College and University Commission (WSCUC). CBU Online has received various awards and ranked in the top 40 in the nation – best online bachelor’s degree category by U.S. News & World Report for 6 consecutive years. Admission: Submit the application fee i.e. $45 for both undergraduate and graduate application and $25 for readmitting both graduate and undergraduate application. Submit official transcripts from all colleges you have attended, if applicable, submit your recommendation forms, essay, resume, and other documents, complete a Free Application for Federal Student Aid (FAFSA): Upon completing an Online and Professional Studies Admissions Counselor will contact you to review your items and schedule a registration appointment or a follow-up appointment. CBU Online has several resources and tools to enhance the online learning experience including, highly qualified professors, full access to the library, online tools such as student mail, writing and content resource centers and a student support center. The Chaminade University of Honolulu offers a broad number of degree programs online which range from undergraduate to graduate courses in fine arts, behavioral sciences, mathematics, sciences and humanities. There are many subject areas that one can explore including Early Childhood Education, Teaching – at the graduate level, Business administration, Religious Studies, Criminology & Criminal Justice, Counseling Psychology, Elementary Education and Secondary Education. Here, students learn through classroom projects, internships, community networking and research. They enjoy the benefits of learning in a small class size; the student to teacher ratio is 11:1. The university is accredited by the Western Association of Schools and Colleges (WASC). The University of Southern California is a private non-profit research founded in 1880. Its main campus is in the city area of Los Angeles, California. 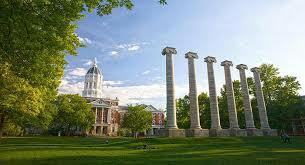 It is one of the best private research university worldwide. It offers diverse curricular offerings hence providing extensive opportunities for interdisciplinary study. It offers unparalleled online education with special accreditation for many of its online programs. Some of its online programs are ranked among the very top of the online programs by the U.S. News and World Report. The online programs at the University of Southern California grant students the convenience and flexibility necessary for completion of any degree program at their own terms. The quality of online degree and certificate programs is like that of any on-campus program with an added advantage of individualized attention. An online class at the University of Southern California is composed of 15-20 professionals who can interact with the instructor freely. Online programs offered include Global Supply Chain Management, Communication Management, Business Administration, Software Architecture, Computer Science, Learning Design and Technology, Education and Teaching, Mechanical Engineering, Aerospace Engineering, Civil Engineering, Medical Device and Diagnostic Engineering, Cyber Security, Financial Engineering, Green Technologies, Gerontology, Dentistry, and Pharmacy. Financial aid is available in the form of scholarships, tuition reduction, loans, and grants. Federal and state funds available include the Pell grants and Cal Grants. Sessions College for Professional Design is one of the top schools offering associate degrees. There are several online associate degrees to choose from. These include Graphic Design, Digital Media, Advertising Design, Illustration, Web Design, and Digital Photography. These programs help the student develop a portfolio and skills needed in the visual arts field. The curriculum includes business courses, discussions and a capstone project. By the time you graduate, you will have a portfolio you can present to employers. Applicants to the programs must submit a 500-word essay that explains their interest in the chosen major, at least 5 samples of individual art and design work, and official transcripts from high schools or colleges attended. The college also accepts up to 36 transferable credits earned at accredited institutions of higher learning. Sessions College for Professional Design is accredited by the Distance Education Accrediting Commission (DEAC). Western Wyoming Community College is one of the top colleges for associate degrees. It is accredited by the Higher Learning Commission (HLC) to award Associate of Arts, Associate of Science and Associate of Applied Science degrees in several subjects including Social Work, Criminal Justice, General Education, Office Information Systems, Computer Information Systems, and Marketing. These courses are available for part-time and adult learners, high school graduates and international students. They are structured to meet the individual needs of the learner. Upon completion of the programs, students will transfer to a four-year college or professional school where they can complete their undergraduate degree. To graduate, students must complete all general requirements. i.e. have completed at least 14 credit hours applicable to the degree, with a 2.0 GPA in all hours attempted at the college. Wisconsin Indianhead Technical College is among the best online colleges for associate degrees. It is accredited by the Higher Learning Commission (HLC) to award technical diplomas and associate degrees in areas such as Accounting, Health Information Technology, Medical Coding, Child Care Services, Early Childhood Education and Web & Software Development. Students get quality learning materials that will help prepare them adequately for academic and career success. Online students also get access to resources and services such as the bookstore, academic support, counseling, and career planning. The college uses innovative technologies and theories to promote effective learning for the students. Students also have unlimited access to instructors and support staff, and this creates a supportive environment through which they can realize their professional goals. How do you know if a school is accredited or not? In the USA, a properly accredited college is one accredited by one of the accreditation agencies recognized by the U.S Department of Education and Council for Higher Education Accreditation (CHEA). The schools listed on our website database are all accredited. There are two types of schools accreditation, regional and National. Regional accreditation is the most recognized form of accreditation in the USA. Regionally accredited colleges are the most preferred by most of the prospective students across the United States of America. On matters of College’s accreditation, there is no difference between a qualification earned from an on-campus attendance and online study. This is because the same accreditation bodies that accredit brick and mortar colleges are the same ones that accredit colleges that offer online programs. This is because the same accreditation bodies that accredit brick and mortar colleges are the same ones that accredit colleges that offer online programs. A college is regionally accredited only if it receives its accreditation from one of the 6 regional accrediting associations recognized by the Commission for Higher Education Accreditation (CHEA) and the US Department of education. Always confirm a college’s accreditation by independently checking with the accrediting agency or with the Commission of Higher Education accreditation (CHEA) or the US Department of education rather than just relying on information from the University. What are the six regional accrediting associations? You can check a University’s accreditation status by visiting the US Department of Education search and search for the status of any college. If it is not accredited by any of the institutions above, It is not regionally accredited. You can also check by visiting the Council for Higher Education Accreditation search (CHEA), which provides a database of recognized accrediting agencies and accredited institutions and programs. Confirm that the school’s accreditation is granted by either of the above agencies for regional accreditation. You should always ensure that you have only enrolled in an accredited college recognized by the Commission of Higher Education Accreditation (CHEA) or the US Department of education. The two institutions recognize regional and National accreditation. These two forms of accreditation have two main benefits besides being the only assurance you have earned a legitimate degree from a real college. Regional and national accreditation is the basic requirement for a college to take part in any state and federal student financial aid program. You will not get any form of financial aid if the college has none of the two accreditation. These two are the only forms of accreditation that are widely accepted by employers and other genuine colleges. Though the Commission of Higher Education Accreditation (CHEA) or the US Department of education consider both forms of accreditation to be equal, in practice, however, qualifications earned from a regionally accredited online university appear to have two main advantages over Nationally accredited Universities. Though each University reserves the right to decide on college credit transfer, credits earned from a regionally accredited college are almost freely transferable to regionally accredited colleges and to nationally accredited colleges which is not usually the case for credits earned from a nationally accredited college. It also becomes hard for students with a qualification in a nationally accredited university to pursue a higher level degree from a regionally accredited institution. If you are planning to transfer credits, please note that each University reserves the right to accept and reject credits from other institutions. You should always confirm with the institution you wish to transfer credits to, to confirm if the college will accept the qualifications earned from another college. Though most employers will readily accept qualification from both regionally and nationally accepted schools, there may be a preference from a few employers towards qualifications from a university with regional accreditation. What does it mean for a program to be accredited? A University may have an institutional accreditation but not have any program accreditation. A school may also have some of its programs accredited while others may not be accredited. A University may have programmatic accreditation for its different programs or chose not to have programs accreditation. However, there are several advantages if its programs are accredited. There different forms of program accreditation but the following are some of the most prominent. There are very many factors to consider before enrolling in any college. Institutional accreditation. It is very important for any student to know the accreditation status of the University. Always enroll in a university that is accredited. A school could be regionally accredited or Nationally accredited. We have given detailed information about these above. Schools type.– A school can be private, public for-profit or Not-for-profit. We provide the status of each school to help you decide. You can get College statistical information available at the National Center for Education Statistics. Below is an explanation of some data available at ed.gov . Tuition fees.– The tuition fee is key when making college selection. Where the tuition is high, students have to decide if they can afford the fees and even when they can afford, they will need to consider if the fee is value for money when compared with other positive factors of the institution. Repayment rate.– Compiled by the United States Government, this shows the percentage of students who can pay their loans within the assigned time without default. Retention rate Free Application for Federal Student Aid (FAFSA) defines the retention rate of a school as the percentage of students in the first year of study.